Life cannot get any better. 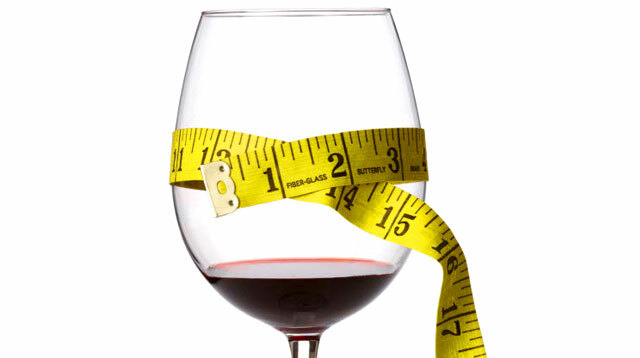 Need a new way to rationalize the amount of wine you drink? Lucky for you, scientists are on it: In a new study that builds off previous research in which a special extract found in grapes (and wine!) reduced weight gain in mice fed a high-fat diet, researchers found that this extract works on human cells too—and now they think they know why. In a laboratory setting, the researchers exposed human fat and liver cells to dark red grape extracts. The extracts appeared to slow the growth of fat cells and help the liver cells burn fat faster, which could explain how the same stuff had previously slowed weight gain in mice. Because fat overload in tissues and organs can increase your risk of heart failure, diabetes, obesity, and other potentially fatal health issues, anything that keeps excess fat out of your cells is a seriously good thing—especially if you're already overweight or you eat a high-fat diet. There may be more ellagic acid in more common red wine varieties, like cabernet, merlot, and pinot noir, according to Shay, although there aren't any studies on the amount of ellagic acid in specific grapes. (The wine extracts tested came from a random grape that most people don't drink.) Also: Wine can acquire extra ellagic acid if it's stored in a barrel make of oak wood, which contains the antioxidant. Which means you could be getting some of the good stuff whenever you drink a red wine that tastes "oaky." Until more research is done, it's good to know that you could, at least in theory, mitigate the health effects of a less-than-ideal diet if you wash it down with wine. Which sounds like a perfectly good reason to bust out a bottle of red.